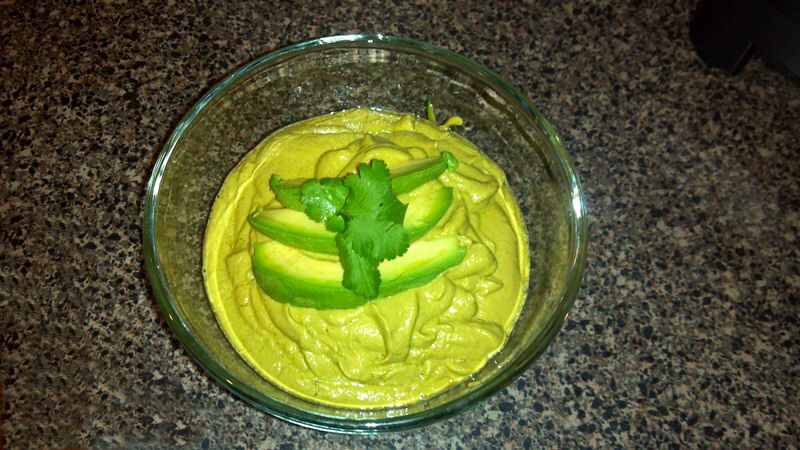 Basically the same as zucchini hummus, except you add a half of an avocado in the mix. This tastes amaaaazing! Blend all the ingredients in the blender. You will have to stop and start the blender to get it to fully mix, or if you have a Vitamix, push down the ingredients with the push/mixing tool. Chill in the frige for a bit and then serve!